Interstate relocation is an example of long distance moving (Interstate movers). Every once in a while, we are called upon to relocate from the state we are in and move to a neighboring state or even on the other edge of the country. Such scenarios are a recipe for a stressful relocation process. At Movers Best, we are in the business of offering long and short distance moving solutions to relieve you of the pressure associated with relocation. It is obvious that no two people are alike and thus no move is the same, we aim to provide tailored relocation services, whether it is a big move or a small move, we will offer quality and exceptional service. When choosing a long distance relocation company, the following tips will work best in your favor. Interstate moving calls for a change of lifestyle. You are moving to a new location far away from your friends and family, and this presents an opportunity to pick up new hobbies, or a change of behavior. That notwithstanding, take into account the costs associated with the relocation and plan accordingly. Take inventory of all your belongings and make a decision of what to take with you to the new residence and what to leave. At Movers Best, moving consultant will walk with you through all the stages of decluttering your house and minimize the costs involved in the interstate relocation. Since time is of the essence, to help us successfully relocate you, we offer packing and unpacking services. This leaves time to cater to the other logistics of the move. Our professional Interstate movers are experienced in the packing of household and office furniture and equipment to ensure nothing breaks or gets damaged during transit. Assembling and disassembling of furniture to reduce the space it occupies is another of our tailor made services. When the time to answer the call to interstate repositioning, careful research should go into the making of a choice of Movers Best over the rest. Trusted to move hundreds of individuals and families, Movers Best offers quality service at amazingly affordable prices. Visit movers best to generate a quote. The price you will get will be the same one to be charged. We do not have any hidden fees, and this has held up our reputation as one of the best relocation companies in Orange County and beyond. While all our staff is professional, highly trained and experienced with long distance displacement, interstate displacements, come with more risk than a move across town or shifting within the same building. Goods in transit are susceptible to damages, theft or total loss. At Movers.best, we provide moving interstate insurance to avoid hefty repair or replacement costs. Inclusive in the full price, insurance is part of the total price that you pay. In the case where you have already sorted out the insurance cover for your belongings, we will only come and move your goods. It is easy to find that many interstate repositioning companies sub-contract their work in Orange County. This could be a way to create employment opportunities, but it also means that the quality of service is not the same as promised in the contract signed in Orange County. At Movers Best, we use the greatest resources and personnel available, which is our own. 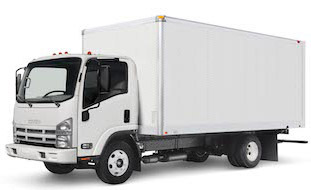 You may be sure that the same people from Movers best who loaded your belongings in the truck are the same ones who will drive and unpack the belongings into your new home, without any incident or accident.